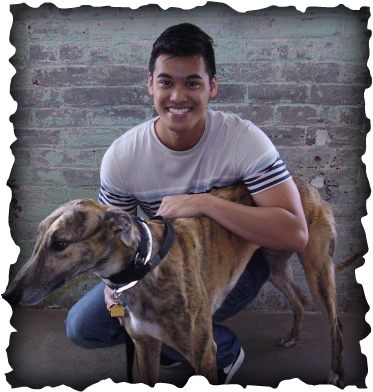 Rey had dogs growing up, but since moving to Dayton, he didn't have one and decided he needed some company. Knowing he wanted a larger dog, after doing some research he decided a greyhound was a good fit. When he met MJR Pay Franklin, now Zuko, he knew he'd made the right choice. Zuko is outgoing and affectionate and always up for adventure, and the two bonded right away. Welcome to the world of greyhounds, Rey!